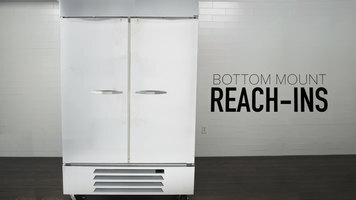 Increase your cold storage space while maintaining a sleek, professional appearance with the Beverage-Air HBF49-1-HS 52" bottom mount Horizon series reach in freezer with four solid half doors! 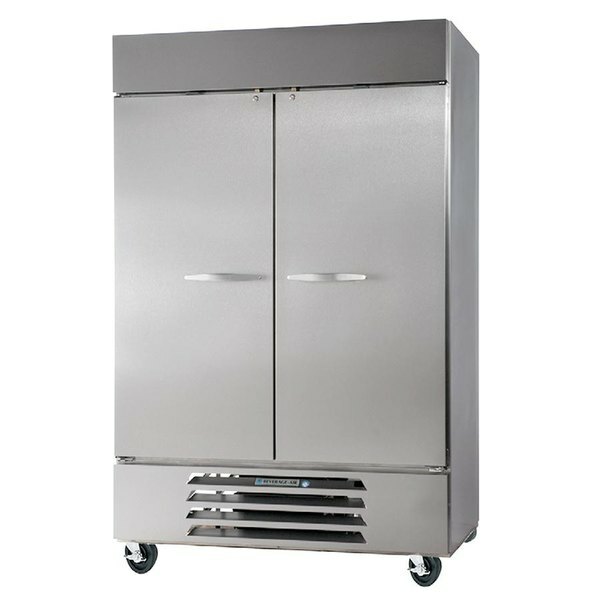 Made with stainless steel inside and out, this freezer is built to last. 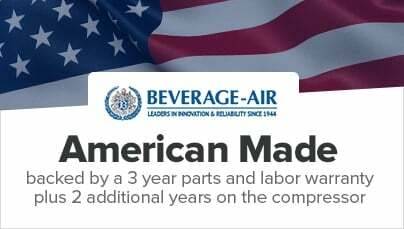 It has an electronic thermostat with a manual defrost option and a simple key pad that allows you to easily adjust the temperature as needed to keep foods at the proper temperatures. LED interior lighting allows for optimal product visibility. This unit has four solid half-sized self-closing doors with spring loaded hinges. The doors also feature anti-microbial handles and door locks to keep your inventory safe and secure. Plus, these doors also have a stay-open feature that holds the door open at 120 degrees while you load and unload the unit. Finally, the doors also have plug in magnetic door gaskets that ensure a tight seal to prevent energy loss and also are easy to remove for cleaning. This unit includes six heavy-duty, epoxy-coated wire shelves, along with four shelf clips for each. The shelves are easily adjustable in 1/2" increments to make sure that you can store everything you need and organize your freezer to suit your storage needs. This unit includes four 6" heavy-duty casters, two locking, to make it easy to move for cleaning purposes.